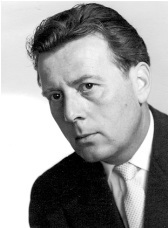 Alphonse Stallaert (1920 - 1995) Composer and conductor, man of great culture who had a passion for music and literature. Alphonse Stallaert was born on March 1st in Helmond, Netherlands. He studied law to come up to his father's expectations, as his father, a banker who had set up a firm, wanted his children to take over. But he could not resist the call of music and eventually got his father to allow him to study music for just one year. Therefore, in 1941, he both learnt how to compose and conduct an orchestra at the Utrecht Conservatoire with respectively Hendrik Andriessen and Bertus Van Lier. Respecting his father's ultimatum, within one year, he got the diplomas which normally required two academic years. Armed with his diplomas, he conducted Philips firm's orchestra in Eindhoven for a year; then, in 1945, invited by Sir John Barbirolli, he underwent a period of training at the Halle-Orchestra in Manchester. He arrived in Paris in 1946 with only 100 francs on him, studied counterpoint for a year, rue de Madrid (Conservatoire National Supérieur de Musique) and was given conducting lessons by André Cluytens and composing lessons by Arthur Honegger. He then formed his own orchestra composed of 92 French musicians with whom he gave his first concert in Paris. Unfortunately, the following year, for want of subsidies, he had to turn his symphony orchestra into a string orchestra composed of 36 musicians. With "The Paris String Orchestra" (Orchestre à Cordes de Paris), he gave several concerts in Paris, and went on tour in his native country; among others, he performed in the large Amsterdam concert hall, the Concertgebouw. Unfortunately, he had to give up his passion for lack of money. Yet, he was asked to conduct French orchestras such as Lamoureux and Pasdeloup orchestras, as well as Dutch orchestras like the Brabant Orchestra, the Overijssel Philarmonic Orchestra and the Dutch Chamber Orchestra. In 1951, his first work "Concerto for Piano and Orchestra" was performed at the Besancon festival by the R.T.F. National Orchestra (Orchestre National de la R.T.F. ); it was conducted by Raphaël Kubelik and included the pianist Daniel Wayenberg. During the same music season, this concerto was performed again, successively by the Conservatoire Concert Society (Société des Concerts du Conservatoire), conducted by André Cluytens, and by the Pasdeloup Orchestra which was conducted by the composer himself. This creation was followed by several performances in France and in the Netherlands and Philips produced a record of the work performed by the Brabant Orchestra conducted by Heins Jordans. 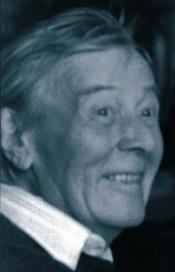 While giving private tuition, he composed the symphony "Les Ames Maudites", later entitled "Symphonia da Requiem", made two piano sketches for his friend D. Wayenberg, and an opera, "Myrdhinn"
In 1956, he married Lydia Sborowsky, Daniel Wayenberg's first cousin. In 1961, he was invited to the Vichy Festival to conduct his symphony "Symphonia da Requiem". In 1964, the Concerto for two pianos, strings and timpani was brilliantly performed by Julien Azaïs and Marie-José Billard with Lamoureux Orchetra. He worked as a music critic for a Dutch paper and for a literary review, "Euros", and in 1965, he started composing for television; among others, he made the music of André Frey's film "Conte à Rebours" and that of Frédéric Hebrard 's "Les Regrets de Pierre Guilhem". In this way, he composed prolifically and quickly for television until 1974. He enjoyed this job, but the need for real musical creation became vital to him: often at night, he "heard" and had to "put down in writing" the music that was haunting him. - The "Requiem pour les Enfants"
In 1973, he composed "ELKHEVIR", a work for small orchestra. On March 26th, in Eindhoven, the Brabant orchestra performed the concerto for piano with D. Wayenberg. Sadi de Gorter, cultural attaché of the Netherlands Institute in Paris, threw the doors of this renowned house open to him; he gave lessons and concerts of his works were scheduled there. He also taught at the European Conservatoire in Paris (Conservatoire Européen de Paris) and was a member of the jury for the end-of-year competitive examinations. In 1978, he settled in Maria Van Der Meer's house on the Fanac Island in Joinville-le Pont, near Paris, on the banks of the Marne, a suitable place for him to get inspiration. He also frequently stayed at his wife's, at the Issambres on the French Riviera. With her, far from the hustle and bustle of the capital, he found the peace and quiet that his work required. He formed an amateur choir, "Le Choeur Fanac" for whom he liked harmonizing a varied repertoire. Ignoring the difficulties of the task, he did not hesitate to have them sing an oratorio he had just composed, "Il Cantico del Sol" on the lyrics of Saint Francis of Assisi's Canticle of the Creatures. His creation, to which he gave himself body and soul, often drew its inspiration from literary texts, as can be seen with his Myrdhinn operas, his lieder on texts by Rilke, Garcia Lorca, Desnos and Gorter Mourik; but unfortunately, it gradually cut him off from people working in the music world and from the media. In 1989, the trio "Sonata Concert", who was filled with enthusiasm, commissioned a trio for violin, double bass and piano and then a quintet. One can easily understand how delighted and proud he was to be invited by Holland in 1990 to celebrate his 7Oth birthday! At Niels Swinkels's instigation - a journalist specialized in cultural affairs - a festival was organized in his honour in the region of Brabant, and he was pleased to attend the performance of his piano concerto, and was thrilled when listening to the young students from the Eindoven Conservatoire who played some of his works; he was particularly moved by the interpretation of his "Essai pour Harpe et Alto". 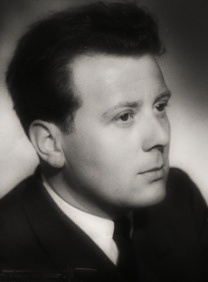 The actor Gérard Zuchetto and the trio "Sonata Concert" asked him to work on Max Rouquette's poems written in Occitan. Filled with enthusiasm, he set about composing and created "Trio et Recitant", a work which Gallo produced and entitled "Lo Maucor de l'Unicorn". Unfortunately, his health deteriorated and in 1994, he left the Fanac Island and retired to his wife's house in the South of France. Encouraged by his trio, he composed a quintet for the same music group as Schubert's Truite. He was fascinated by his last commission, "Le Petit Prince", an opera for a children's choir for which he wrote the libretto. This work intially composed for the schools of Champagne sur Oise, gradually expanded into an opera. He did not have time to finish the last scene. He died in Fréjus on December 15th. He lies in the cemetery of Auvers sur Oise near the man he admired so much, Vincent Van Gogh.